I've said it before, and I'll say it again: filk transcends musical styles. Our previous two Featured Filkers were both on the folk and folk-rock side of the spectrum, but there's a wide world of nerdy jazz out there, too. 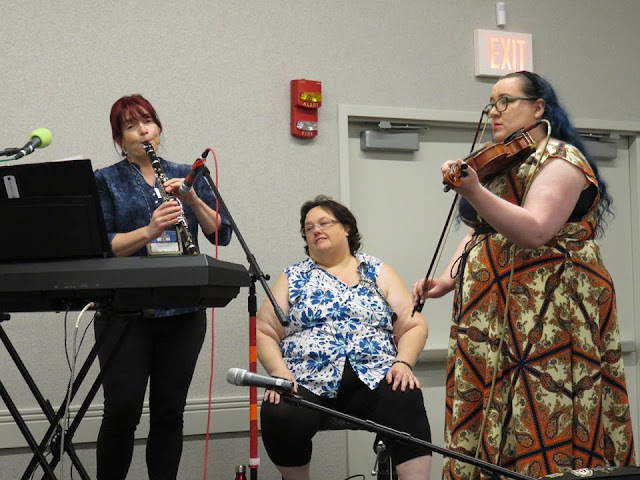 In the filk community, the best-established of these sultry voices is none other than Dr. Mary Crowell. She wields her doctoral degree in Musical Arts (DMA) with power and grace, so strangers beware: don't leave off the prefix, or she will be quite displeased. 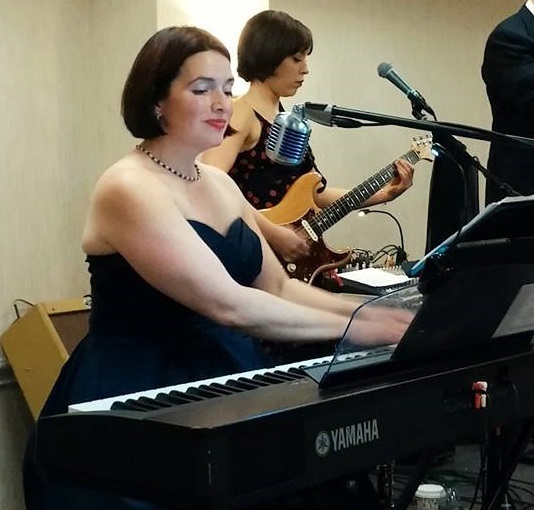 Mary has taught piano and music composition for over twenty years, both at Calhoun Community College in Alabama and as a private instructor. 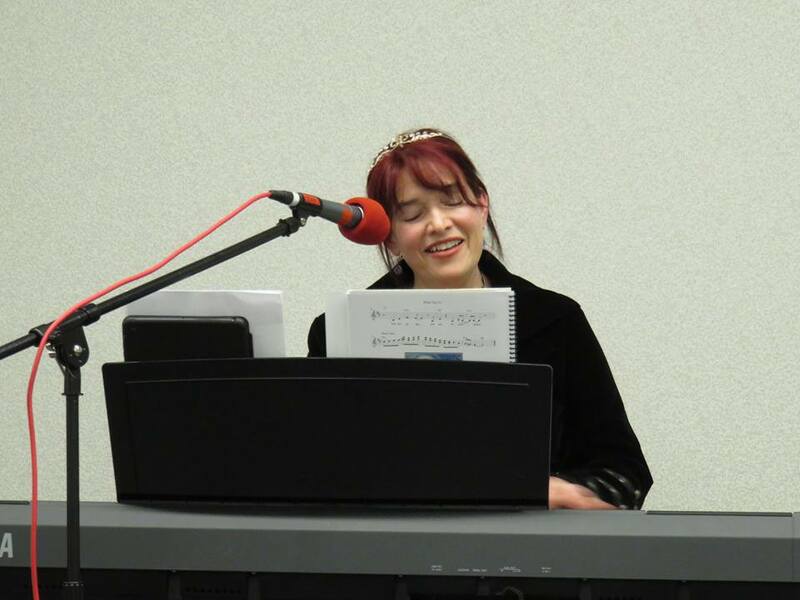 I first saw her perform some ten years ago at the Ohio Valley Filk Festival (OVFF) and other conventions, making magic on stage with her beautiful voice and her ever-present keyboard. Her other favorite instrument is the clarinet. When it comes to writing music, she means Serious Business. But as the song below demonstrates, the subjects of her endlessly inventive jazz and blues variations can sometimes be downright silly. Welcome to the official music video of "I Put My Low Stat," an exercise in D&D ridiculousness that won a Pegasus Award for Best Gaming Song in 2012. Other songs of hers in the same humorous vein are "Legolas" and "Keep Your Christmas out of October." The majority of her lyrics, however, are either mischievous and playful or introspective. I'd pin her favorite topics as mythology and technology, except when she writes songs about coffee, or the change of seasons, or the amazing but really hard to categorize "Patchwork Cliché." This basically sums up any attempts to explain "Patchwork Cliché." One song at MarCon even involved audience participation with purple pool noodle tentacles. There was much rejoicing. In addition to performing solo, Mary belongs to The Three Weird Sisters, which at one point was comprised of four women. That's filk for you. She is also at the helm of Play It With Moxie, a classy ensemble of nine. Play It With Moxie won the Best Performer Pegasus Award in 2016, and who can blame the judges? They always put on a smokin' hot show. 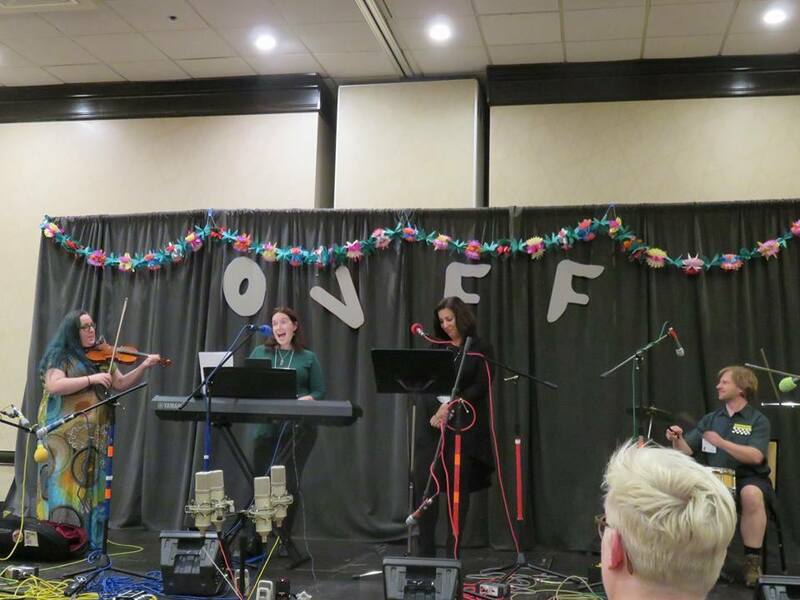 Here's Mary with a few of her Play It With Moxie band mates at OVFF. I mentioned before that collaborations are a big part of filk. Mary is highly sought-after by other performers for her keyboard playing, which is rare in the filk community compared to string instruments like guitar and ukulele. You'll often find her accompanying filkers other than her regular band members, and she adds a special touch. Want to get your hands on some of this goodness? She currently has three solo albums, her first album with the Three Weird Sisters, and a live album of songs by Play It With Moxie available for purchase. For more general information and links to Mary's social media, you can go here. I will leave you with a warning: beware the Mary earworms. They come in the night. That is all. What instrument, besides guitar and its siblings, makes you swoon for a song? Let us know in the comments! Dr. Mary is awesome! Don't forget to check out her latest masterpiece, Scattering Seeds on the Pomegranate Tour. It's fantastic!